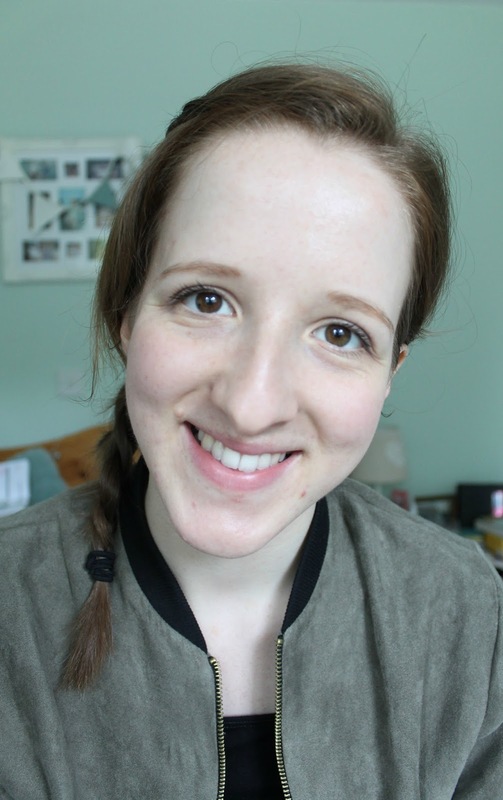 Everything But The Kitchen Sink: What makeup is on my face? Recently my daily makeup has consisted of 7 products. Yup, that's right, seven! If I'm feeling extra fancy I might add a highlighter or contour a little and if I've got some time, then I'll go all out on the eyeliner flick. I like to leave my skin to 'breathe' throughout the week, just so it gets a break from the heavy makeup and clogging my pores. 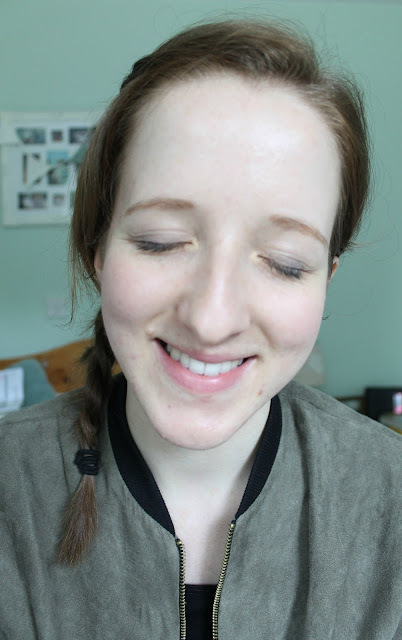 So here's my daily makeup and what I'll wear to work! BB Cream is my favourite, it's light and easy to wear with a natural coverage and finish. 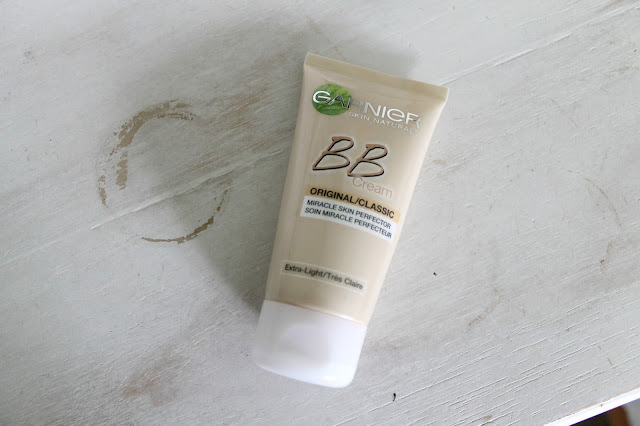 I picked up the Garnier BB Cream in April (haul post here) and haven't turned back! It has hydrating properties, UV protection and Vitamin C and Grapefruit extracts to brighten my skin. I'll either blend this in with my fingers or use the Real Techniques Miracle Complexion Sponge. Now brows as a fair skinned and ginger gal aren't easy to find, trust me. All the brow pencils or powders on the high street range from blonde to brunette without catering for the red heads. 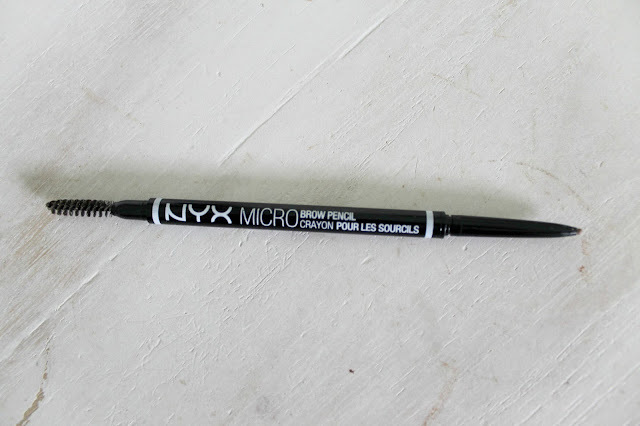 Enter NYX Micro Brow Pencil in Auburn! Probably slightly too warm for some skin tones, but I love it. I'll first brush my brows with the spooley brush then add colour and shape with the small crayon nib. Check out this review of my first NYX products. 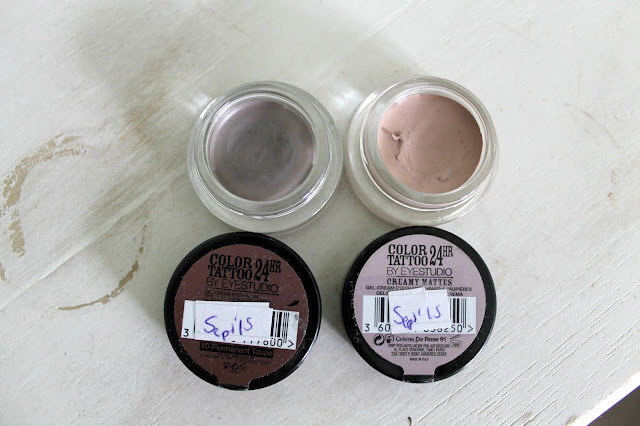 Whoever invented cream eyeshadows should get a pat on the back, these are a dream to use in the mornings. For speed, I'll use my fingers to apply and blend out for a natural day smokey eye, without all the hours spent blending and everything. Cream De Rose works as a perfect matte base and Permanent Taupe adds depth in the crease too. Blush and highlighting powder in one, I've had this in my collection for a while now and it's always my default to brighten my skin on dull days! I'll just swirl the powder together on a fluffy brush and apply to the apples and tops of my cheeks. It's not a glitter ball style but adds a pale metallic highlight to my cheeks. 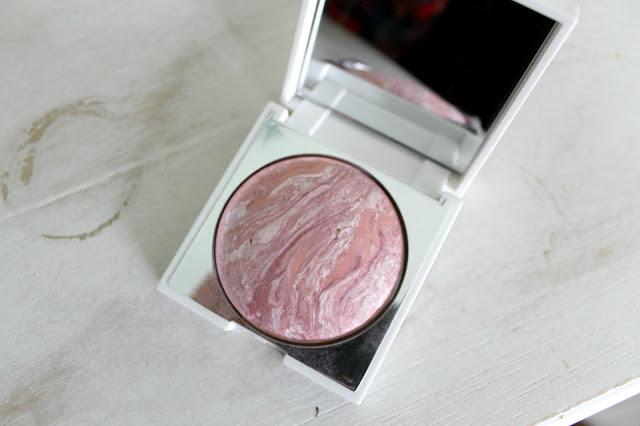 Keep an eye out for this blusher in my favourites soon! Because I am a super lazy excuse for a girl, I'll opt for a tinted lip balm instead of a lipstick or gloss for work. Korres is a favourite skincare and makeup brand of mine, I own four of their tinted lip balms and use them all throughout the year. Not only does Pomegranate smell good but it leaves a gorgeous pink/coral colour on the lips, which complements a natural makeup look. 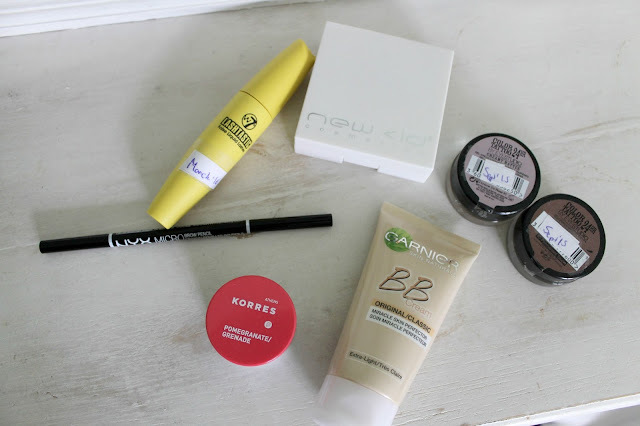 Read my Beauty Brand Highlight: Korres post. Big spidery lashes aren't my thing, especially clumpy ones! So I'll normally use a mascara brush with fine bristles that add a coat of colour and volume to my lashes. 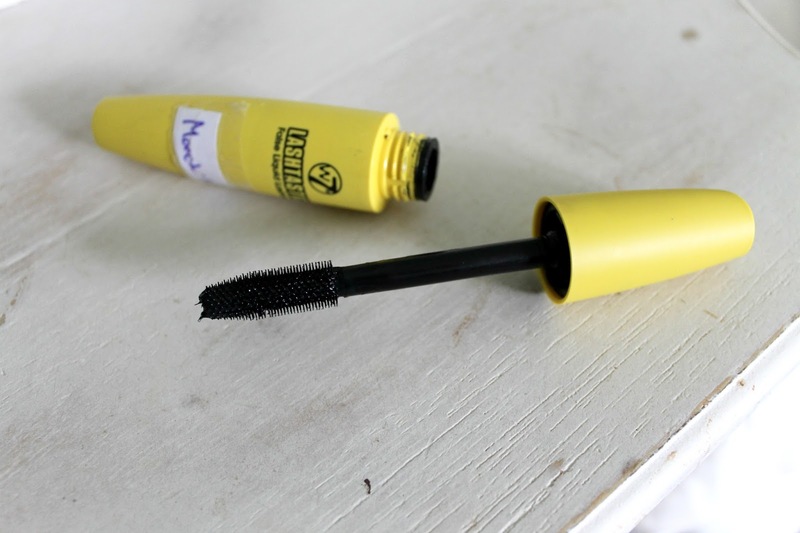 Only downside to the W7 Lashtastic Mascara is that it can flake on warm days but it isn't such a problem for me. If you're wondering what's the sticker on the mascara, it's a date of when I opened it so I know when it's out of date and should be thrown away! And here is the finished look! Pretty natural overall, with a little definition to the eyes. 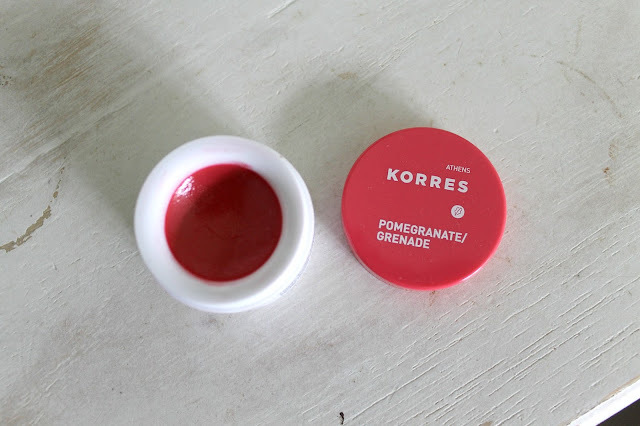 I'd probably add another layer of the Korres Lip Butter to the lips for a deeper colour. And if I have any major blemishes then I'll use the Collection Lasting Perfection Concealer to cover it up! What's your daily makeup? Do you use any of these products?